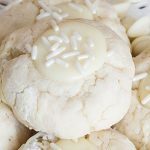 White Chocolate Thumbprint Cookies, soft cream cheese cookies filled with white chocolate ganache! 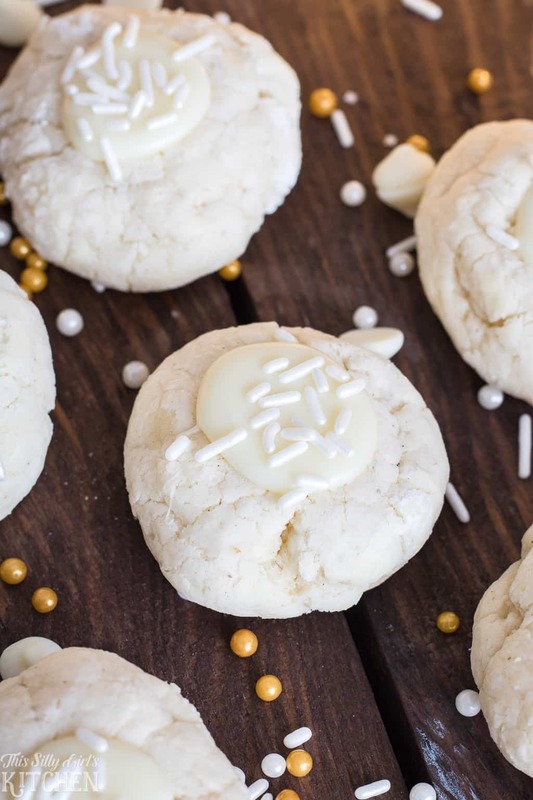 White Chocolate Thumbprint Cookies, as if cream cheese cookies couldn’t get any better, I added white chocolate to them, whoops?! With the holidays literally right around the corner, I wanted to send you off with one last cookie recipe. Who doesn’t love cookies? I really think these cookies could be Christmas cookies but I also think they are perfect for every day. Plus, the white on white look of them are super elegant to me and would be perfect at any party. 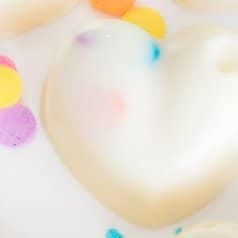 You can also add any colored sprinkles on top to make them pop! 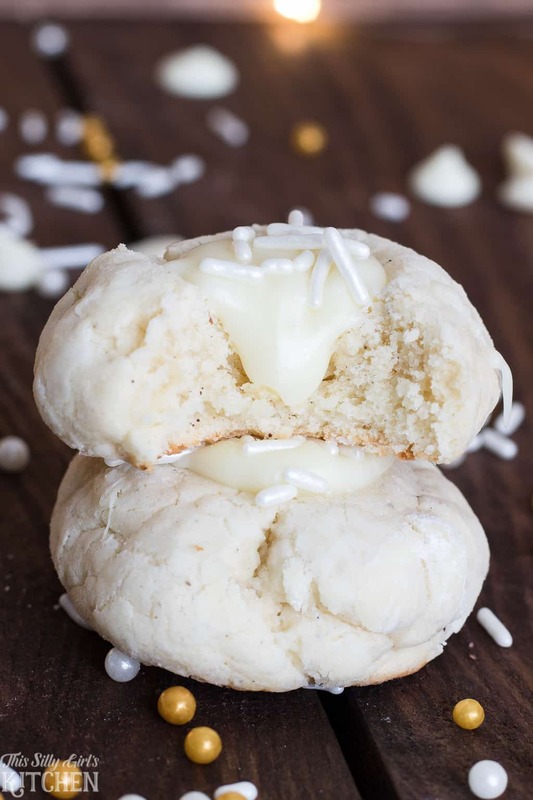 Cream cheese cookies are soft and tender. They really are a classic! I used the round end of a utensil to make the “thumbprint”, I have come to notice over the years that when making thumbprint style cookies, the indentions tend to be very inconsistent. Also, sometimes they can be off center and the filling might leak out. So, using the same sized round object for each one works perfectly. I have also seen other people use a round teaspoon to make the indentions. 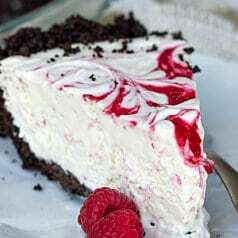 Make cream cheese cookie batter, consisting of cream cheese, butter, powdered sugar, flour, and more. Let chill in the fridge for one hour. Roll out tablespoon sized balls and place on a parchment lined sheet tray. 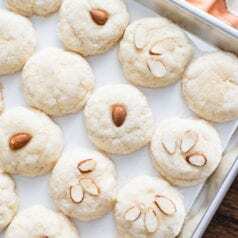 Make thumbprint indentions and bake for 10 minutes until the very bottom edges are very slightly browned. Take out of the oven, and let cool for 10 minutes on the baking sheet. Transfer to a wired rack to cool completely. 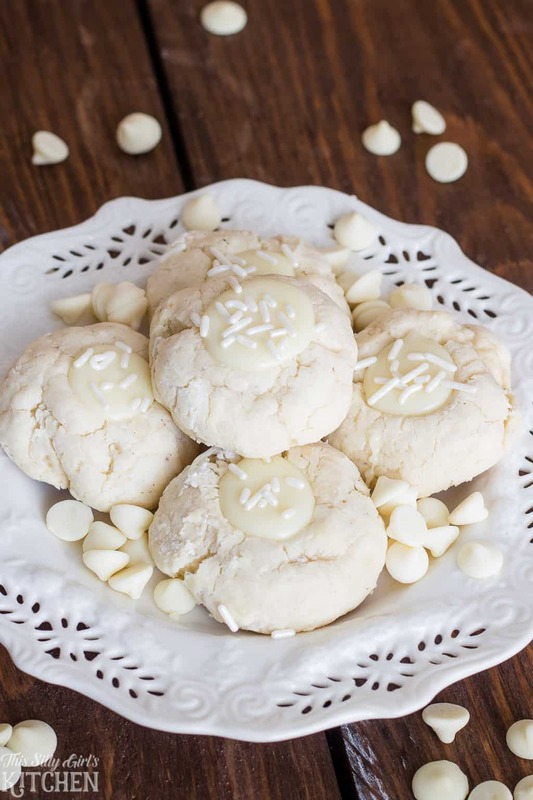 While cookies are cooling, make the ganache by mixing together white chocolate chips, butter, and condensed milk. Once cookies are cool, fill the little indentions with the ganache. Garnish with sprinkles, optional. Hand mixer to mix the dough or a stand mixer works too. Sheet trays to bake on. Parchment paper to line the sheet trays. Cookie scoop to help portion the cookie dough. Vanilla bean paste, I can’t live without this stuff! Thanks so much for stopping by! This will be my last post of the year! Yes, I am taking a little break and will be back the first week in January, see you there! I hope you have a great holiday is you celebrate and if not, I still hope you have a great couple of weeks. 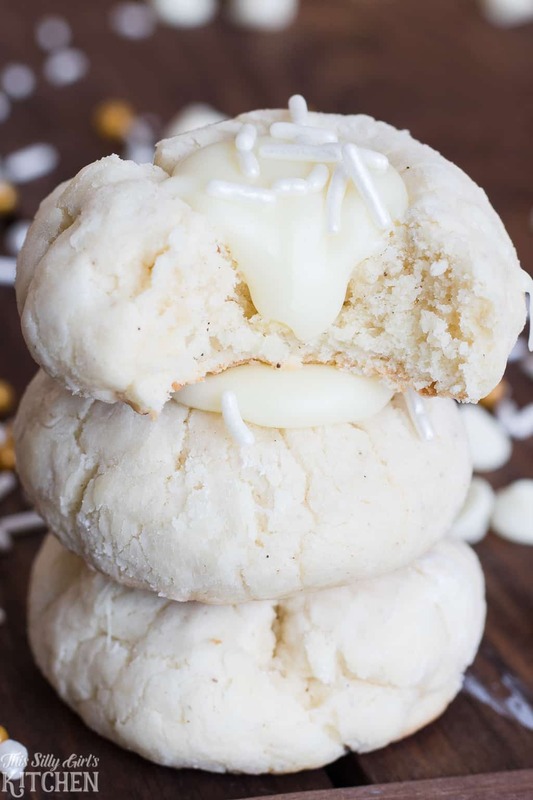 White Chocolate Thumbprint Cookies, soft cream cheese cookies filled with white chocolate ganache! Makes 28 cookies. In a medium-sized bowl, mix together the flour, baking powder, and salt. Set aside. In a large bowl, cream together the butter and cream cheese until smooth with a hand mixer. Add 1 1/2 cup of the powdered sugar and mix until combined. Add the egg and vanilla, mix until combined. Slowly add the flour mixture to bowl a little at a time until fully mixed. Place bowl in the fridge for one hour to chill. Preheat oven to 375 degrees. Add the remaining powdered sugar to a small bowl. Roll cookie dough into 1 tablespoon sized balls by hand. Roll in the powdered sugar and place on a parchment-lined baking sheet about 3 inches apart. 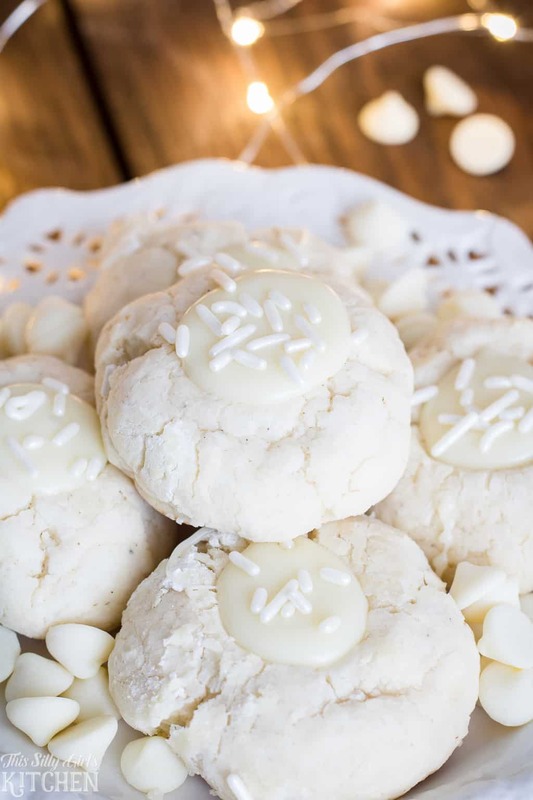 Using something that is small and round, like a teaspoon or a utensil with a round stick, make small indentions right on the top of each cookie. Bake for 10-12 minutes until the bottom of the cookies start to get slightly browned. Take out of the oven, let cool on the tray for 10 minutes, place onto a wired rack to cool completely. While the cookies are cooling, make the ganache by placing all the ingredients into a microwave-safe bowl. Heat in microwave on high for 1 minute. Let sit one minute and stir until smooth, heat an additional 30 seconds if the mixture is not smooth after stirring for a minute or so. Fill cookie indentions with white chocolate ganache, top with sprinkles if desired. I have some red thumbprint cookies I am making for Valentines day… Im going to make these to accompany them! They are adorable! those shimmery sprinkles are perfection! love these cookies! Does the white chocolate harden enough to stack these cookies. I’d like to make them for a wedding. 🙂. Beautiful.